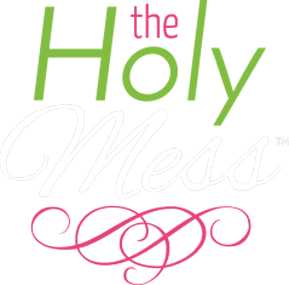 Do you long to keep Christ as the center of your holidays this year and you are looking for a practical resource to help make that happen? 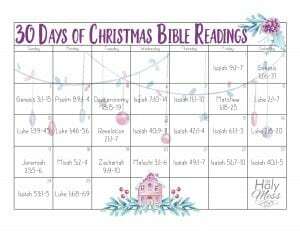 You will benefit from our 30 days of Christmas Bible Reading plan. Best of all, this download is free. 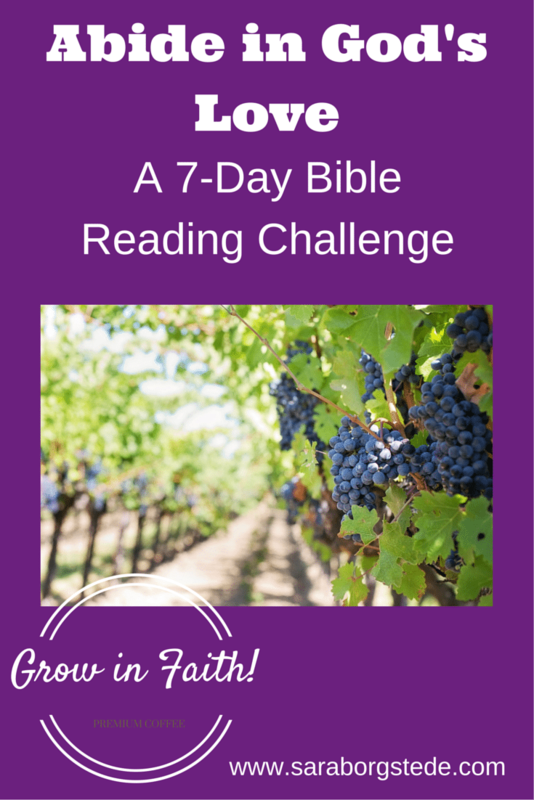 Use this time of Advent to for a daily Bible reading each day. Make your season meaningful. 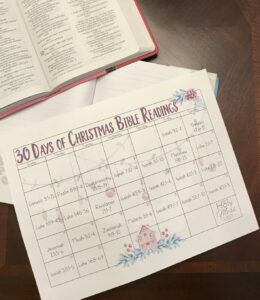 Use this 30 Days of Christmas Bible Reading plan for your own personal devotion time, for Bible journaling, or together with your children. 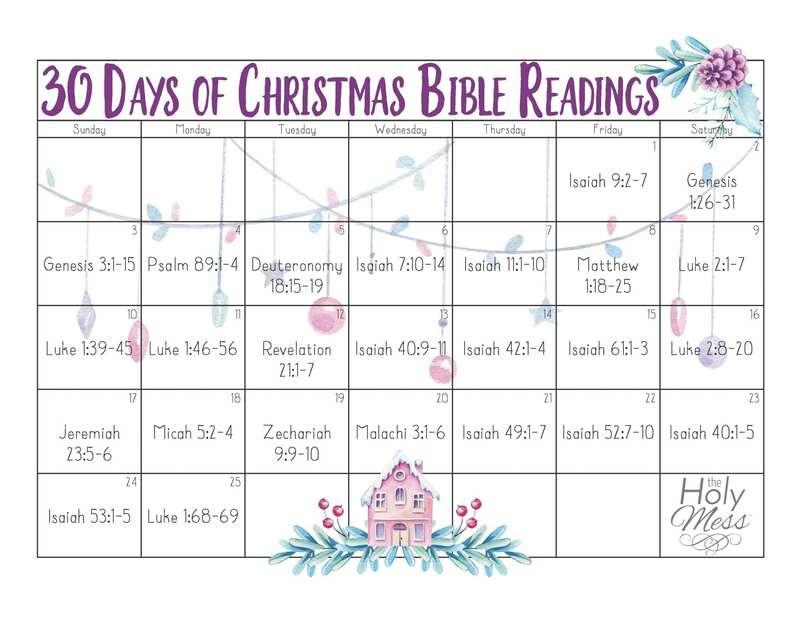 Use this Christmas Bible reading plan for daily devotions, reading the Christmas story with your children, Bible journaling, and more. 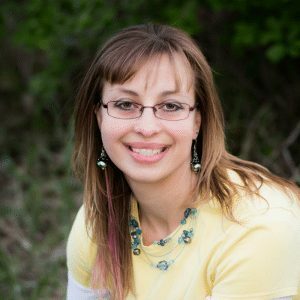 Read the Christmas story, prophecies of Jesus from the Old Testament, and other readings that show the importance of Jesus as our Savior. Advent is the time in the church year that we prepare our hearts for the coming of Baby Jesus. Advent is a wonderful time to slow day and savor just how incredible it is that Jesus came to give his life for us. 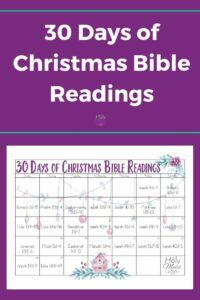 Get your free download now of the 30 Days of Christmas Bible Reading printable by clicking here. 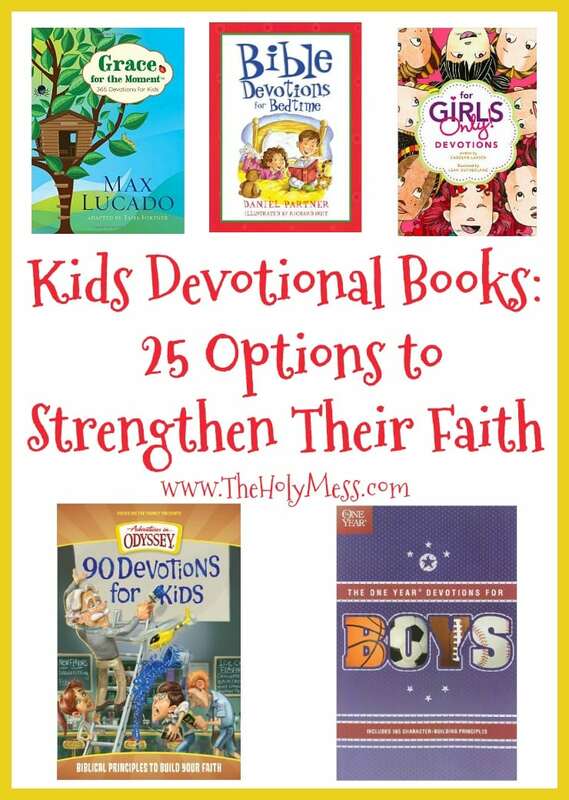 Use this free 30 Days of Christmas Bible Reading plan to make your holiday season meaningful. How will you keep Jesus as the center of your holiday celebrations? Share in the comments below.